Home / Excellence / School transitions : What to expect ? Every milestone in a child’s education comes with a corresponding difficult transition from one stage in their life to the next. This isn’t by coincidence, but by design. The various tiers of education were designed to change along with the children, to ease them into more complex social and intellectual concepts as they gained the capacity for them. Of course, there’s still that sudden switch from a toddler’s basic schooling to suddenly entering Primary School, and it’s not going to be easy for any child. Some may even take it harder than most. Here are some ways to help ease them into each stage of their schooling. 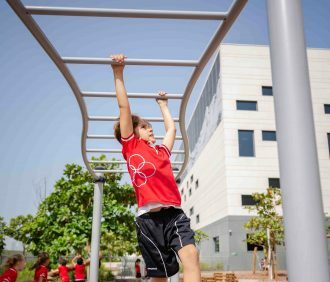 Moving from KG2 to Grade 1 is going to be one of the very first great challenges that your child will have to face, and it’s going to be scary. Longer hours at school, less “kiddie” stuff replaced with real studying and workloads, and a general greater sense of “seriousness” is going to be intimidating. The most important thing to do right off the bat is not to overplay the changes, and sit down with them and tell them what to expect so that the culture shock won’t cause too much anxiety. Dress it up as part of growing up, and highlight the opportunities to make new friends and do more things. You should also take the time to help them develop essential skills, such as time management and study habits. Up until this point you’ll probably have been hovering over them at home, and now it’s time for them to do these things on their own. You should also encourage independence in them, which will be important to help them sustain themselves through schooling without your constant assistance. And finally, you need to be positive about the whole thing. You may be anxious too about their first day in PYP, but you can’t show too much of that. Instead, promote an excited attitude and encouragement to go out there and do well! As children move out of Primary and into the Middle Years Programme, they’ll experience several unique changes. First, they’ll start learning far more abstract concepts than before. On top of that, they’ll start learning in-depth about particular disciplines. This transition is a measured response to the cognitive development of children in the MYP age range, and most likely they’ll be able to handle the change without much effort. Of course, at this age it’s not just cognition that changes, as adolescence begins to take hold. You may find your child acting out or being withdrawn. If you’d previously experienced their episodes of after-school restraint collapse, you might have already dealt with this, but it’s important to be a strong supporter of your children regardless. One of the ways you can help your child transition is to encourage inquiry long before MYP, which itself puts a great emphasis on student-driven inquiry as part of the educational narrative. By teaching them how to question what they know, how to explore their knowledge and intelligence as a default way of handling things, they won’t be confused or taken aback when the MYP changes the learning thrust from a transdisciplinary theme to a global, more contextual way of learning. You can also start them young by expanding their horizons constantly. Look for points of aptitude or interest and encourage them the minute you see them. Got an interest in dinosaurs? Take them to a museum and buy them books about prehistoric life. Computers? Enroll them in entry-level programming classes or download educational apps that can teach them. Even if they don’t end up pursuing something in the future, the mere experience of learning many things will help prepare them for the breadth and depth of knowledge that they’ll need for MYP. You should also know how to deal with adolescent issues, as they’ll definitely come your way. Your child might no longer respond to direct, physical and verbal affection to help them with their issues in school. You’ll have to resort to indirect, written messages of validation. Leaving the IB and entering university, you’re pretty much dealing with an adult already. They’ll have developed time management, independence, and a thirst for knowledge and self-actualization that you won’t have trouble cultivating. What matters now is helping them move forward to a university of their choice – or finding out what they want to do in the first place. SISD’s counselors can help with this dilemma. Our teachers and staff are always ready to provide advice as to where to go, whether it means university or trying out for a career. We have programmes such as the Work Placement Initiative, which give our children an idea as to what field they want to enter, which can lead to what university they want to enter. You can also introduce them to your own line of work, which is especially helpful if you think that they’re a good match for your career. They need experience to make a decision, and that doesn’t come by itself. They’ll need your help, and our help, to transition.